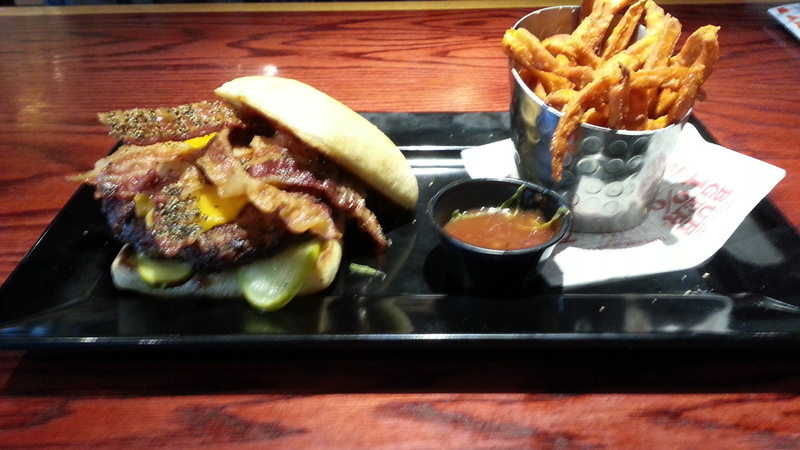 Sometimes you desire an appetizer with your meal, and Applebee’s is ready for you when you do. While the Brew Pub Pretzels with Beer Cheese Dip looked delicious, I went with my old favorite. 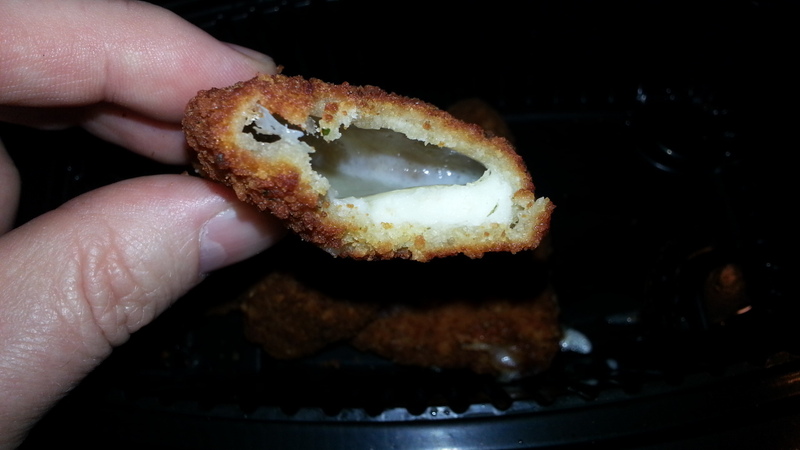 Mozzarella Sticks, affectionately called #MozzieSticks by ARI of the @AppleBees Twitter Account. I now find myself refering to them as Mozzie Sticks as well. 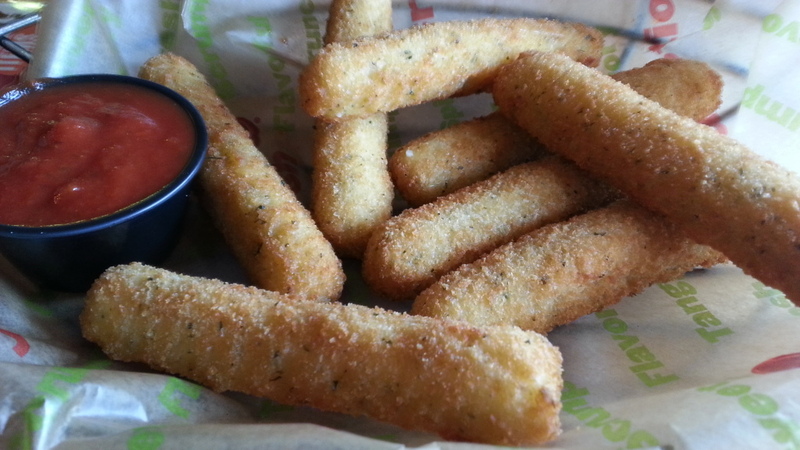 Now though delicious, Mozzarella Sticks are by no means unique. 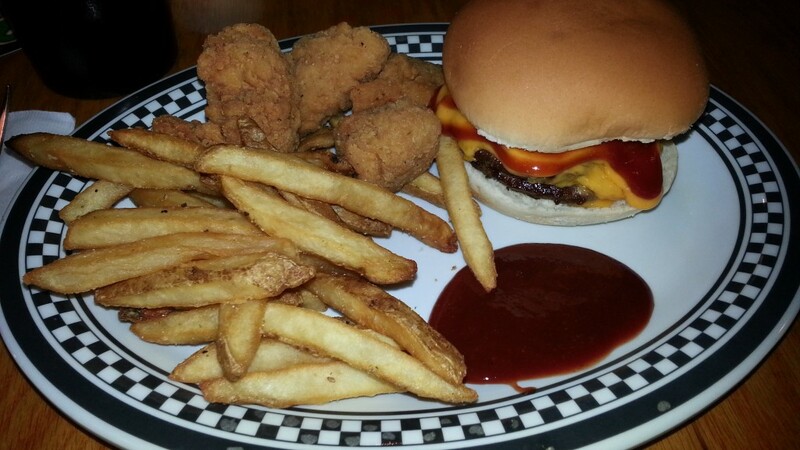 Most places offer some version of deep fried cheesy goodness on their menu. What makes Applebee’s stand out is that they cook them right! Check this out, no cheese leakage. Anyone who loves deep fried cheese products is familiar with the disappointed which accompanies an epic fail such as this Fried Provolone Wedge from Panini’s. Over cooked to the point that the cheese explodes from it’s breaded enclosure, leaving you with nothing more than burnt breading. So when you can go to Applebee’s and get reliably cooked Mozzie Sticks, it is something to take note of. Oh look, Chicken Quesadilla Grande? Be right back……. The Rail is a restaurant that takes “buy local” to a whole new level. Not only do they use locally sourced beef, but even much of their bar is stocked with locally sourced beverages. From local brewers like Fat Head’s to Buckeye Vodka which is also brewed in Ohio Having been recommended by a couple of friends, I had to try it out. Not because of the local focus, but because I was told they had good burgers! Of their many options I chose the “Local Yokel”, and not just out of respect for the witty play on words. Boasting Ohio thic-cut bacon, fried local egg and Swiss cheese I honestly didn’t even read any further down the menu. 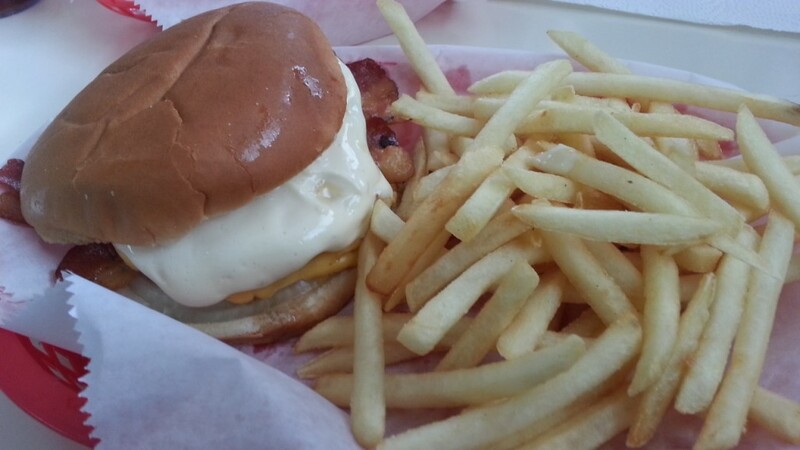 It was a good burger on a fresh bun with a healthy helping of excellent bacon. 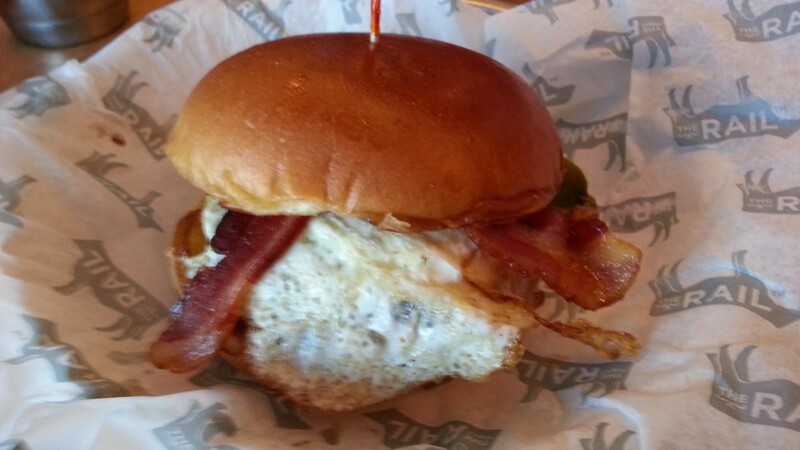 The egg was over easy as requested and the burger is served with a stick through it which prevents embarrassing yoke explosions on the first bite. This last point may not be intentional, but it’s still the little things that count. @CleBurgerBlog Made Me Do It! After reading a review of Midway Oh Boy! 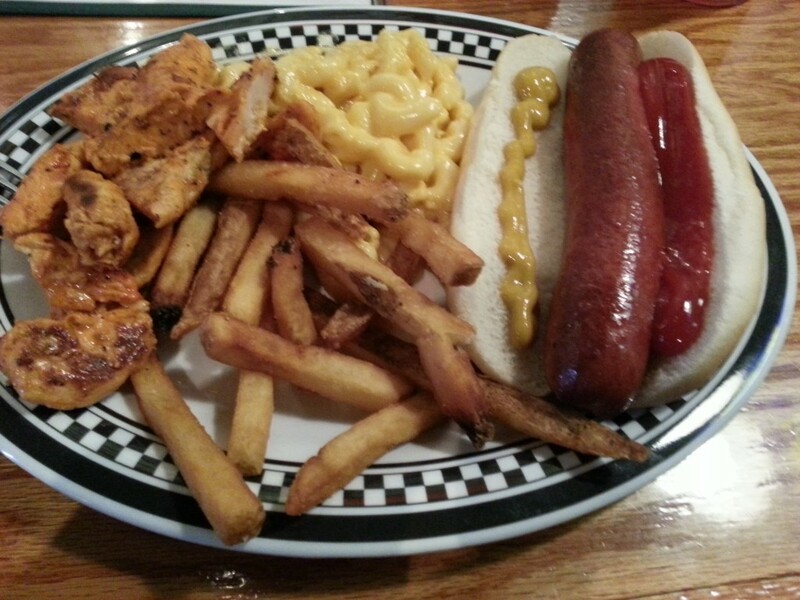 on the Cleveland Burger Blog I felt obligated to the place out. I too ordered the Bernieburger, but I skipped the copious amounts of lettuce to focus on the onions, bacon, barbecue sauce and Oh Boy sauce. The Oh Boy sauce looks like mayo, and has a similar consistency. It does not taste like mayo though! 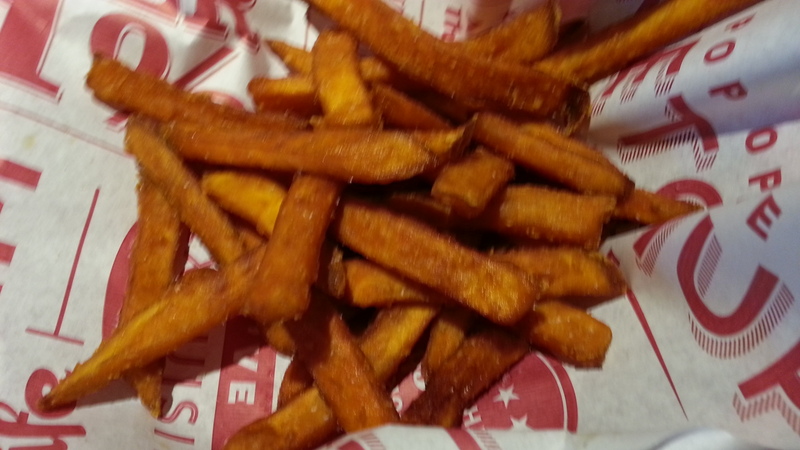 I can not even begin to calculate what they use to flavor this condiment, but it is a mighty fine burger topping. Even without the lettuce the Bernieburger is quite messy and a trick to handle. Having the BBQ sauce on the bottom may add to this by somewhat soaking through the fresh bun, but the flavor made up for all it. An very tasty flavor combination where you can actually taste the beef, the bacon, the sauces and the onions, all combining together.